The Lifestyle Hub: It's 0917! Time to win Special Prizes from Globe! It's 0917! Time to win Special Prizes from Globe! Are you the type that keeps the boxes and packages of the special items that you bought? I do. I keep the boxes of the gadgets and I mark them with the dates and the venue of the purchase. Isn't it nice to take a look back and realize that you actually own the gadget for x number of years already?! Bring out those old sim card jackets, Globe paper bags, tickets of concerts sponsored by Globe and all the other stuff that will remind you of your good memories with Globe! Your postpaid bill from years ago will also count. 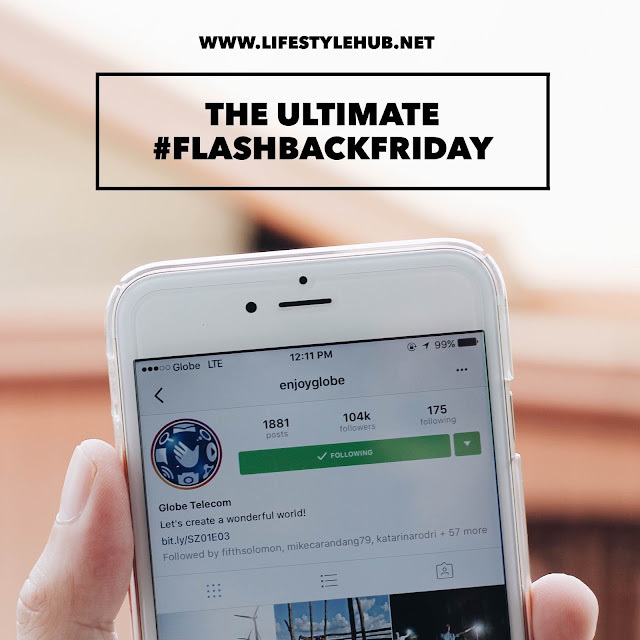 We are holding the ultimate Flashback Friday today where we are giving away premium Globe items plus PhP2,000 worth of prepaid load. Take a photo of those items and post them on our #Globe0917BringMe thread on our Facebook page. That's www.facebook.com/thelifestylehubblog. You can follow the rest of the instructions below. What's at stake? Limited edition 0917 Navy Blue Globe Hoodie, limited edition 0917 Globe sweater, and another limited edition of 0917 Globe cap for the three winners. On top of these premium items, each of the three winners will also win PhP2,000 worth of prepaid load. Announcement of winners will be on September 17, Saturday at 8 PM!